What does it mean that HCI-Telehealth is a device-free-technology? It's a break through in the way Telehealth is delivered. Telehealth 360 from HomeCare Interactive, LLC helps health care providers to afford telehealth and remote monitoring for chronically ill patients at a fraction of the cost of any telehealth system avaialbe in the market today. With complete interactive assessments and choice of the use of either off-the-shelve vital signs reading telehealth 360 offers a unique tool to manage chronically ill patients in their own homes without compromising, quality or care or even agency's money. Lets face it; the cost and labor involved in most telehealth equipment available in the market today, could not justify the use of those equipment. Nor it can make an ROI we look for. If we call 10 and 20 patients study a success, then what do we call telehealth monitoring for 100 or 200 at once. 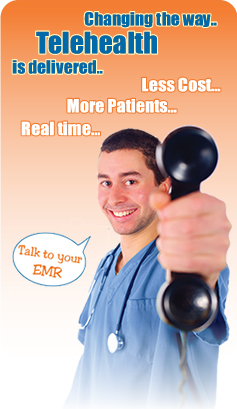 With Teleheath 360, you can see a return on your investment within minutes. In fact, before you even pay. If you sign up for Teleheath 360 program today, you can start saving money immediately by reducing your home health visits, re-hospitalization and increasing your telehealth assessments and will only be charged at the end of cycle. You will pay pennies instead of hundreds of dollars. There is no comparison and the quality of care is unprecedented. As a clinician, you have the choice of relieving alerts to all out-of-range data without employing some one to monitor these data. your patients will be connected to you or your clinician on-call way before an adverse event takes place. You will rarely see hospitalization or ER visits occur and you will always be sure to know when you wish to know.